Stop teaching hatred to children ! 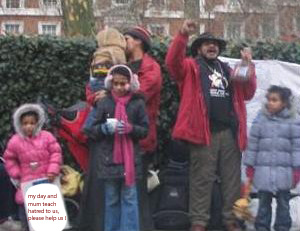 Unfortunately, indifference in London of five Papuan children of Benny and Maria Wenda, an activist for West Papua, appalling behaviour for such parents to direct their children is this kind of environment. Using minors to chant in an abrupt way showing ugliness in vision of a child and behind the child you wonder if the child itself would understand in the obstacle concept of human rights. Much sympathy to the children as no knowledge would be known unless pursuance by an adult, who in this circumstance abuses the child’s mind in diversity killing their thoughts of being a child and early adulthood. This would emphasise the parents of being “exploiting” of their own children for their own needs. In an in-appropriate mannerism so disturbing you wonder why bring, such children in this world if you are only using them for exploitation and abuse. We can only visualise how such parents have no dignity in teach their children in this manner for their own goodwill. 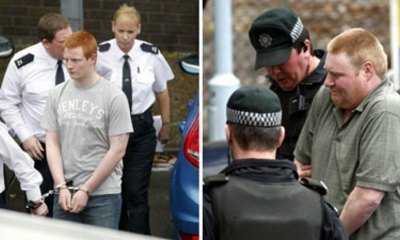 I can only hope that all children should not be used for “Child Exploitation” in any circumstances. So it is appalling that Benny and Maria Wenda put this action upon their children, the law should take this into consideration, high lights for concern and should prosecute such parents for their actions. The hateful acts that occurred at every campaign by Benny Wenda are disgusting. Playing a role as imaginary leader of West Papuan in exile, Benny Wenda is not only telling lies about the development in West Papua, but also inciting hatred in the hope to push greater conflict in West Papua. Please take a serious attention to his campaign which always demonized the new democratic Indonesia from a very narrow perspective. He keeps his campaign as a protection of his personal interest to stay in UK as long as possible, sucking British tax payer money, deceiving British people, and trying to undermine the UK-Indonesia bilateral relations. Benny Wenda not only did take the life of a young policeman of great promise but he has destroyed a family’s happiness. Benny Wenda, 37 year-old killed a police officer and injured two other police officers on 07 December 2000 during a horrific attack to a police station in Abepura, Papua. Benny Wenda will deny all charges against him and innocently will say that his activities in the year of 2000 was only a simple peaceful demonstration and raising flag. Benny Wenda tries to radicalise young Papuan in West Papua by many of his statements on the internet. 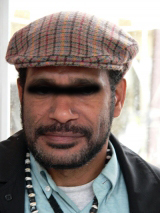 Although he failed in his efforts to radicalise young Papuan, he managed to create some small radical groups in West Papua supporting his agenda in the UK. At the end of the day, the goal of such activities is not for Papuan but for himself to be accepted within British society as someone who deserved to be supported financially. Until today, Benny Wenda still inciting hatred freely in the UK. Why both the UK and Indonesia don’t take his hate campaign seriously ? besides the effects of Wenda’s campaign is not significant, probably both governments have a strong belief in democracy. How about questioning Benny Wenda’s dark history as a murder suspect? 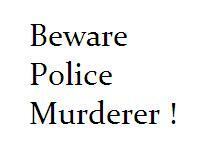 He is capable of doing wrong thing in the past, so there is a huge possibility of doing it again today or in the future. But in the mean time, we might only see him singing a song, appealing for money and support, and doing demonstration peacefully. Great work Benny Wenda ! In addition, more casualties have been occurred related to Benny Wenda’s malicious propaganda to create local war scale conflict in Papua. Such carnage was justified with lies that have been exposed repeatedly in Benny Wenda’s website Free West Papua. Several violence demonstrations in the heart of Papua since 2002 were a direct consequence of Wenda’s actions. No matter how clever Wenda’s hide his true face of wolf under the mask of a funny innocent peaceful sheep, there are many evidences about the involvement of Benny Wenda in several communal conflict in Papua. Instead of remorse, Wenda has demonstrated a secretive greed. Since entering UK, he has accumulated a significant amount of poundsterling, much of it as a result of using the Papua issue to collect money from British citizens. The total money he collected maybe small for rich British people, but greedy is one of the deadly sin. Is it wishful thinking that Benny Wenda will be arrested? Under the protection of asylum law, Wenda can hide comfortably in the UK for the rest of his live and the same law has let down two devastated families back in Papua crying for justice.